Psychedelic DJ & Artist from Black Forest, Freiburg in southern Germany. Mostly he play powerfull and deep Psy-Trance for the twilight hours. These journeys taking you into a big mystery and releasing extraordinary energies from infinite space. But also other different styles, like Progressive-Psy, glitchy PsyDub, Dubstep, Downbeat and Ambient-Chill-Out, are equally important for him to play out. As far as he can remember, he always was fascinated by music and the magic of sounds and rhythms his whole life long. He was 6 years old, when he started to play the violine. Many different styles, like Blues,Jazz, Psy&Progressive-Rock and Classic Music, shown by his father, were the main-influence in his childhood and basement for musical ripening process. Then with 18, he visited his first Psychedelic Party, and was immediately infected by the unbeliveable possibilities of sound-modulation-creation-quality & Energies ;) It was a very deep spiritual experience. touched by the love and creativity and energy there, he finally found his family. Short time later he started dj-ing at home. Now he play most of his DJ-set´s on various psy-events in germany & europe! Since 2014 he became a member of B.A.M-Records! 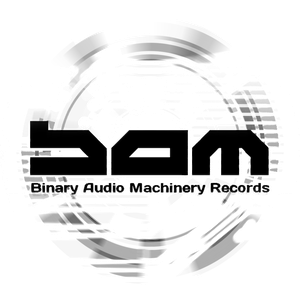 binary audio machinery records, a german psytrance label. Nedox and friends, are also organizing psychedelic gatherings in the southern black forest. Known as "Reunited Tribes". Connecting people with peace, love, respect & tolerance, in harmony with nature. Creating plattforms and space for psychedelic music & art.